When there's a discussion about the best-quality, most reliable, and most robust motorcycle gear on the market, there's no doubt that the Rukka brand will be right up there in the thick of it. The Finnish brand does make terrific clothing. If you're a professional rider, a courier, a Blood Runner, a commuter who does more than 20,000 miles a year, or a Policeman then you've got to consider Rukka. 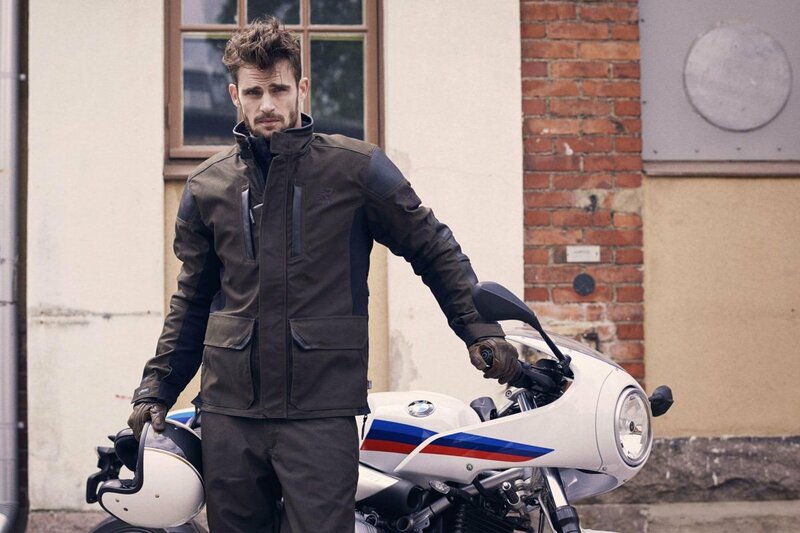 They've pioneered the use of Gore-Tex membranes in motorcycle clothing, and nobody is more experienced with Gore-Tex's 3-layer Pro Shell laminated technology. But nobody, at least nobody in their right mind, would consider Rukka's clothing to have much in the way of a cool factor. That was until now. Rukka has decided that if they were able to produce a more retro-focussed range of riding gear, they could probably do it to a higher standard than anybody else. The new Melton jacket is a product of this thinking. 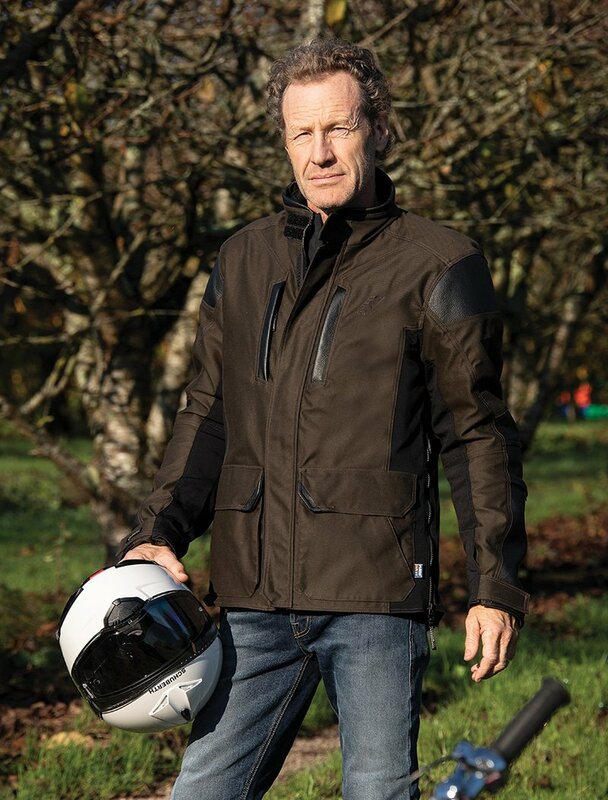 It's every bit a riding jacket, but it's the kind of jacket that you could turn up wearing at a business meeting or a smart restaurant. The outer fabric is a highly abrasion-resistant Cordura. On the sleeves and elbows you get panels of leather for extra strength and safety. The pockets are also edged in leather, as is the collar. 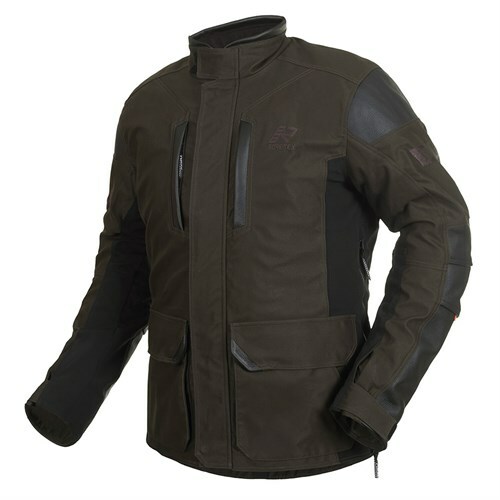 Of course, being a Rukka, this is a jacket you can wear in all conditions, which is why it comes with a Gore-Tex, drop-liner and full-length ventilation zips up the flanks. Armour, of course, comes courtesy of D3O. It's fitted in the elbows and shoulders, and there's a pocket for a back protector. The jacket has four external pockets and two internal ones. There are volume adjusters for both the hem and the sleeve ends. There's also a full-length zip that allows the Melton to be zipped into a Rukka pant. More interestingly, perhaps, you can use Halvarssons' 'Waist Zip' so that you can connect the jacket to a pair of protective jeans. For added comfort, there are Cordura stretch panels up the flanks and on the sleeves. And, as this jacket is intended to be worn all year round, it comes with a removable, 60 gramme thermal liner. We like this jacket. 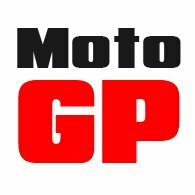 It's very Motolegends. 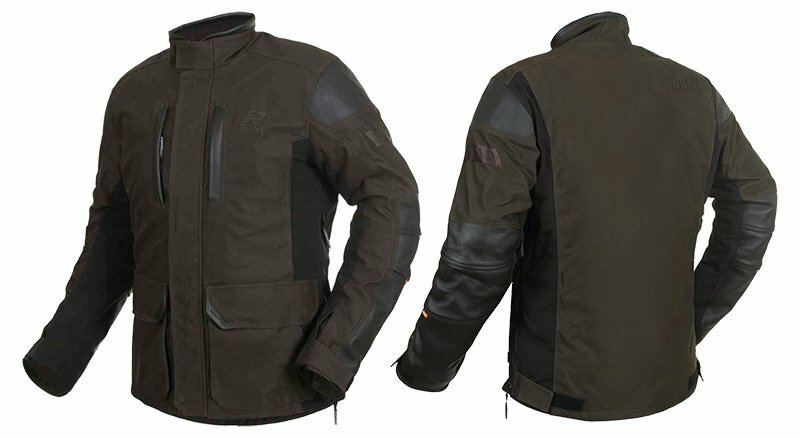 It's as stylish a riding jacket as we've come across yet, on a technical level, it gives nothing away to any jacket out there. So much did we like this jacket when we first saw it that we decided we wanted to have it on an exclusive basis. It really is a great bit of kit. It's pretty true to size but, if you want to try it on, come and see us in Guildford. Click Rukka Melton jacket to shop the Rukka Melton jacket.